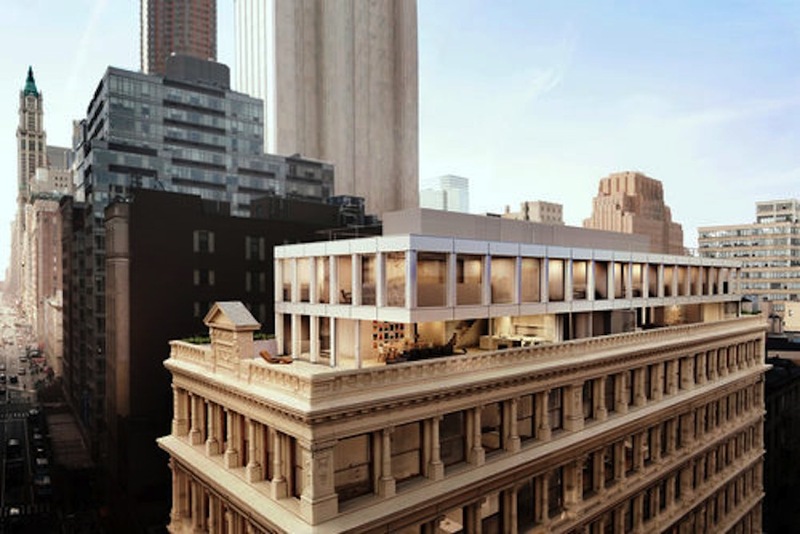 Renderings for Shigeru Ban‘s rooftop addition to a landmark Tribeca building have been revealed. 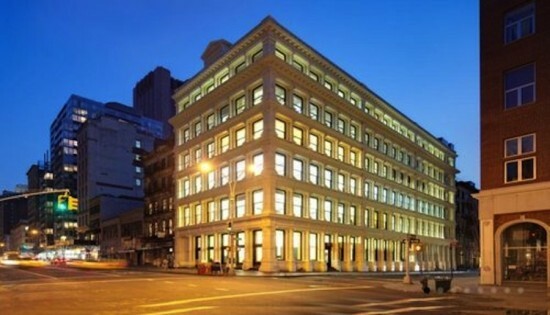 Newly recast as a luxury residential space, the 132-year old cast-iron building located at 67 Franklin Street at Broadway is set to receive a new metal-and-glass-clad cap. This twin duplex penthouse will be joined by a revamped interior also designed by the Japanese architect. The existing structure will be filled by 11 duplex apartments. Since purchasing the space in 2002, Knightsbridge Properties president Jordan Krauss undertook a three-year effort to restore the cast-iron details that are the distinctive feature of the building. Ban was recruited in order to add modifications that would “work in harmonious dialogue with the existing structure.” The penthouse he envisioned in response to this task will feature a Vierendeel truss (invented by this man) that will allow for first-floor glass doors to be opened up entirely, thus creating uninterrupted expanses between interiors and surrounding terraces. 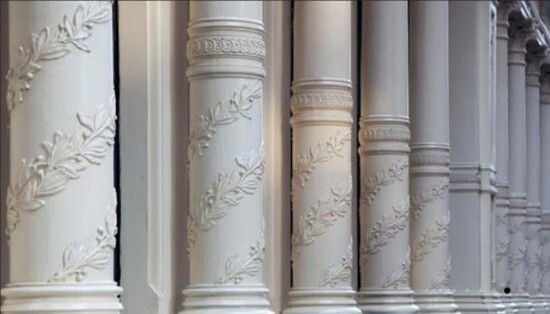 While images have yet to be released, the new design for the interior is said to feature extensive amounts of white lacquer and a bamboo-filled garden courtyard. In 2012 Ban pitched his plans for an addition to an adoring Landmarks Preservation Commission, with one panel-member gushing that the proposal was breathtaking. 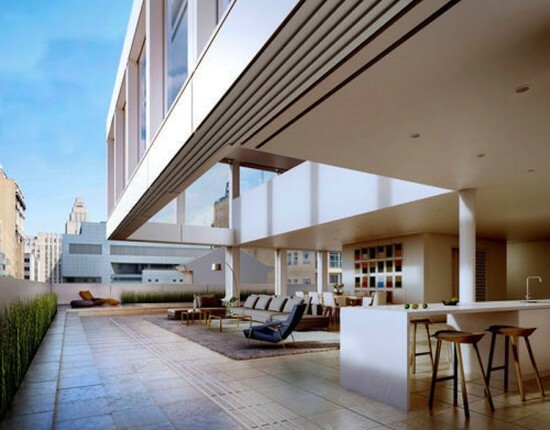 While the recently revealed renderings may or may not produce quite that kind of reaction today, the apartments they represent are expected to demand prices in the $12 to 15 million range. The Ban design may soon be joined by a number of other projects slated to adorn historic Manhattan rooftops.